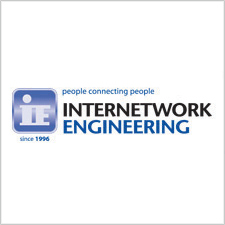 Internetwork Engineering (IE) is a private technology consulting company that improves business outcomes with the expert selection, implementation and operation of information technology. Since 1996, our expert combination of people, partners and process have allowed us to become a strategic service provider for clients throughout the Southeast. With our Ideas to Execution (I2E) methodology, we deliver customized technology solutions that align with business goals to create a distinct competitive advantage. To learn more about IE, visit www.ineteng.com.